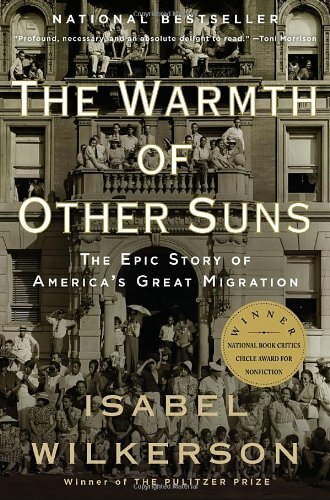 As the reading from The Warmth of Other Suns reveals, there were challenges everywhere for African Americans. There were reasons to leave the South, reasons to be careful about visiting for the summer as was the case with Till, and there were reasons to worry about challenges in the Midwest, West, and North. Based on the reading, what's something specific that really confirmed or altered your previous perceptions about the experiences and struggles of African Americans trying to make a way for themselves during this time period? For me, the struggles an d hardships of African Americans was confirmed on pages 371-373 entitled "Disillusionment." A man named Harvey Clark moved to Chicago with his family expected to get away from the harsh treatment of the South. Him and his family moved to an apartment and protesters and police gave them such a hard time, which they eventually left. They were told to leave and not to return. No one wants to feel unsafe when they are a place they call home, especially when they have loved ones. Certain sections in this reading made me realize what it was really like trying to make a living during this time. For instance, Harvey Clark's family of 4 who lived in half of a two room apartment and a family of 5 lived in the other half (372). That's a total of 9 people living in one space, and me personally I could not even imagine what it was like because my own family feels cramped when all 4 of us are in the kitchen at once, trying to eat. So just imagine 9. This along with the quote that "even in the north, refugees were not always safe" just goes to show how it was during this time period & exposes what it was like for African Americans. -JaLeah M.
Well as mentioned on page 369 the Emmett Till incidence hit home because he was just a kid from Chicago like me. He went into an environment with the expectation that he would be treated as a human being. A child murdered by hateful people that could rightfully be called terrorist. They instilled fear into the black community of the area so that no one would dare question their authority or superiority. Unfortunately more than half a century later black live in America don't matter and our societal inferiority still persist. One of the stories that caught my attention was about George Swanson Starling. (379) He talks about how he would watch the news or read the paper and get angry from all the violence being endured by his people in the South. Although he escaped to New York, his life was very difficult and he was still discriminated against. He talks about how a bartender would break a glass after he drank from it instead of using it again. I think the reading did a great job highlighting the struggles of African-Americans in different regions. In the south racism was the challenge, but in the north and elsewhere blacks fought housing discrimination. They were ran out of certain neighborhoods as we saw with Harvey Clark's family in the book. They had moved North with a family of 9 just to start over and be unwelcomed. Just like now, where you live is important. It determines what kind of jobs you have, schools you go to, etc. By keeping black families out of certain neighborhoods you are limiting their resources and deterring them from success. The story about Emit Till on page 369 was the most memorable. Back then it wasn't uncommon for things like that to happen, and a lot of victims never got justice for the crimes committed against them. Today we still see similar acts carried out in various parts of the U.S. These victims still do not get the justice that they deserve or the support from others. A man today is not guaranteed the same rights as another man based on factors such as age, race, and religion. You would think that a society like ours today would be different and respond to these crimes better, but not much has changed. Throughout the entire reading, the concept that stood out to me the most in summary is that no region seemed to be better than another. Each location had its own form of discrimination. Reading this section opened my eyes regarding how many simple every day tasks I take for granted. I can go to a restaurant and have something to drink and the bartender wouldn't break it in front of me (p379) I have a place to call home with roommates that accept me. But, what is most unfortunate is that although discrimination has improved, there are still instances of inequality happening all over the world. Reading this chapter made me reflect on if there will ever be a complete end to discrimination where color will not be seen or thought about. Something that stood out to me and somewhat altered my perceptions, is that the North could be just as nasty as the South in regards to racial prejudice. It's also interesting to learn that one of the first times the National Guard had to be called due to racial incited violence actually happened in the North (pg. 374). It really shows that while the migrants African Americans had slightly more freedoms in the North, the violence never stopped. One of the parts that really confirmed my previous beliefs of the African-Americans struggle was George Swanson Starling's passage on page 379-381. He talks about how he never really left the violence in the South. He may have moved on physically but it was still very prevalent in his life. Whether he was at home watching TV or reading the paper on the bus, the violence still made itself known. It wasn't like once he left the South that he would be able to start over and never have to remember what his life was like before. Like it or not George was forced to remember horrid times in his life and there was no escaping it, no matter where he lived. The author's description of the riots in Cicero over a black family moving in (pg 374-375) definitely confirmed my thoughts of the struggles faced by black migrants. I knew that some people were very hateful, but it was shocking that it was allowed to get as far as it had. I was also surprised at the complexity of underlying reasons for the fear and hate demonstrated by whites/white immigrants, such as the diminishing property values that preceded the arrival of blacks. It shows that sometimes there are greater forces at work than people may realize. I agree with Andrea's reference to the violence in both the free North and hateful South. Both areas were hard for African Americans to thrive in with all the prejudice and hateful behaviors directed toward them. They seem to paint a very distinct good guy vs. Bad guy image in the history books, and it couldn't be more deceiving. I think the event on page 369 about Emmett till, which was an event that was even displayed in history books and documentary's. It's hard to believe that a country that has a constitution that "all men are created equal", still doesn't follow it. It is safe to say that, African American's were not treated fairly in the justice system at all, in concerns to White Americans. And the event of Emmett Till was one of these occasions. The sad thing is, this hasn't changed all that much. Yes, it has gotten better, somewhat, but it hasn't changed. The Clark's in "Disillusionment" made an impact on me. It's not shocking that they weren't exactly excepted. It's not even shocking that they through the furniture out, but for the mob to destroy their marriage licence and baby pictures (page 374) is too far. Even so it surprised me more that they won their case and still couldn't move in. It seems the only thing going for them was that the agent and the person renting it out seemed to get most of the blame for letting it become a situation. The Clark's seemed to be good people but one idea of race turns the entire town against them before they even got a chance. On pages 419-421 it speaks about George Swanson Starling in New York 1970. He is older by the time the Civil Rights Act was passed and even older when the benefits started happening. He went through his whole life where conditions were very poor for African Americans and now that things are starting to change he feels like the younger generation is not appreciating it as they should. George saw younger African Americans doing things that when he was younger would have gotten him killed. I never thought about those people that had to fight for equality and saw it change before their eyes. It would be a surreal experience. A entity that stood out to me while reading was the incident in Cicero regarding the Clark family. The manner in which their home was completely destroyed confirmed my perception that in the South, African Americans had no ownership of anything material. At any time their dignity and possessions could be destroyed for no cause. However, despite their constant lost, none could take away their hope. I by far believe that the story of Emmett Till was what confirmed my previous conceptions on how African Americans were treated during that time period. African Americans all around were treated poorly and unfairly no matter how hard they worked or how friendly they were. Just the fact that Emmett was barely over the age of 14 speaks volumes. People who were opposed to people of color did not care whether or not the person they were treating poorly was an adult or a child and that is just how it was. And many African American children suffered because of that. African American children were belittled and picked on not just be their peers, but by adults as well. In Emmett's case he tragically lost his life due to the ignorance and the blind hatred towards the color of his skin. What truly stood out to me was the entire Emmett Till situation, and how he fueled the Civil Rights movement, almost all together. Within the black community there are so many stories that are centered around fear, and the Emmett Till case is told to every black child to somewhat scare us in to obedience. What resinates to me is his mother's fear for him to even go on the trip - a fear I see all the time in my own mother's eyes. What that story does is it shows me the facts of the United States, and it shows me the struggle of being a young black-man in America. What truly resonated with me was the Emmett Till murder. Growing up, Emmett's story was rarely spoken about during Black history month in class. It was not until I had reached high school, did I ever hear of the story or simliar stories of the danger that people of color went through during the civil rights movement. We've come along way since then, but with cases like Travon Martin and Mike Brown it feels like we are almost reliving some of the same realities of that older generation and that is terrifying to think about. The story that stood out to me was that of Henry Clark. The quote that stood out especially was "in an hour, the mob destroyed what had taken nine years to acquire." It was appalling to see that even though they had escaped the south, the discrimination was still so strong and ever present in the north that they were threatened by police officers, and driven from their home by a mob. It just goes to show that no matter where you go, there is always going to be discrimination, in one form or another. Jefferson Edmonds states,"The only thing we are proud of in connection with the South is that we left it." Before I read, I expected to have my perceptions confirmed. Part of that expectation comes from being a history minor. The other part of that confidence comes from the previous readings in this text. I am originally from Mississippi, too; all of these things help shape my perceptions of the South and the treatment of African-Americans through the years. This book is full of amazing examples from every region of the states, though, which is something that I believe gets grossly overlooked. I would say that from the text, pages 436 and following have a great accounts of the struggles that African Americans faced. It states on page 441 specifically, "... the Migration had drained away many of the people that remembered them. It was the price they paid for migrating." I think this is very telling of one of countless struggles for blacks- being known and understood. It is easy to state facts/opinions about a people group, but it takes time, empathy and compassion to know them, to learn their stories and to walk with them in their struggles. How many people get that luxury? On p.373-374 is the scene where the Clark family tried to move into a white neighborhood in Chicago.They were well educated and able to afford the apartment but were still discriminated against. What really upsets me about the scene is that it was a neighborhood of white Europeans who came to the United States to flee oppression in their own countries but that had no sympathy for those still living in oppression around them. This just proves that to be white you have to be anti-black. They wanted to maintain their white privileges by continuing the oppression of blacks. And that is something that is still going on today. This portion of the book was particularly eye opening for me, as I was able to see that the way things were back then is not too far from the way things still are today. I know reading about the death about Till revealed the true sense of hatred in the country at that time, but it also revealed how African Americans are so connected on the issue and how his death hit everyone personally. It was also very sad to read about how people who came up north and invested their time and resources into things, could have them so easily destroyed or taken away in response to hatred. And I think the worst part about all of this is that it really was not that long ago. The story of George Starling is a really good example of the racism blacks received. The sentence "he was a baggage handler for all intents and purposes and would be no more than that no matter how much potential he had." really demonstrates this. (pg. 379) He wouldn't be anything more simply because of the color of his skin.Even though he had fled the south, he was still facing discrimination and being forced to live by the bare minimum. I was shocked to learn about bombings inside apartment complexes that were occupied by blacks. The chaos with riots, shootings, and threats confirmed my interpretation of African American struggles during this time period. it disgusts me to be reminded of how our ancestors were treated because of something they cannot change. Many blacks who migrated north invested their time and the little money they had to make a better life for themselves just to experience somewhat similar treatment to the south. I was very surprised that migrants who were from the south acted and were expected to act as if the North was a great place to be. But the North was just slightly better than the South, and migrants weren't hundred percent free! We were always taught that the North was free for blacks and whites during this time, but it wasn't. And even if it was it's almost unbelievable that migrants that went back to visit their previous homes in the south had to revert back to old rules as as not to get in trouble with the white people. I never realized migrants moving to the North had to make the North look so great when it wasn't much better, and there was not much change(pg. 364-367). One specific thing in this reading that confirmed my perceptions about the experiences of African Americans was on page 374 when the author talks about how all-white neighborhoods in Chicago feared the influx of African Americans. Because of their fear, they started to move out of the neighborhoods before the African Americans even arrived. When the African American residents did arrive, the property value of the neighborhood automatically fell. This really confirmed that African Americans were looked down upon before anyone ever got a chance to know them. Disillusionment really changed my perception because I thought and what the media had showed was when black people left the south they were treated better and more fair. However when Harvey Clark moved to chicago he was just as looked down upon and discrimminated against by police and other citizens. We are thought to believe that only the south was harsh and racist, but really it was all over America. The story about Harvey Clark on pages 372-374 confirmed my previous perceptions of the struggles during this time period. Harvey Clark had a police officer tell him that he will get shot if he came back to the neighborhood. People say that history repeats itself and just reading those words were sad because police officers, in the north and the south, still get away with this kind of language today. At the end of the day you could lose everything but those you call family. These people do not have to be blood related but as long as they are close to you, they can be your family. The part that stuck out to me the most was that in the south Family means everything. In any story or movie that originates in the south in order to unite the characters they all become family, for example Remember the Titans, Friday Night Lights, and so forth. In the book the Clark family had to stick together even after their house had burnt down. It did not matter that their belonging all had been taken by the fire but what they had that was most important was that they had each other. The story of Emmett Till confirmed my previous perceptions about the experiences and struggles of African Americans trying to make a way for themselves during this time period. Emmett Till was a child. He was a child that was brutally murdered over basically nothing. Life during these times were unimaginably hard for black people. Cases like these continued to instill fear in the minds of blacks long after it was over. The tales of the South confirmed what I already knew. Till was senselessly murdered because of the color of his skin. The south is extremely racist and in many parts, it is still that way. I lived in Tupelo, Mississippi when I was younger and experienced the extreme racism there. I am mixed and in Mississippi, that is worse than being black. We were hated, ostracized and my mother received death threats because she had black kids. One of the things that altered by perception was that in the story of Jesse Owens. I'm not sure why I wouldn't expect this, but the treatment of children in the schools was particularly interesting. It was new to me that students with accents were treated as if they were less intelligent, or that teachers would sit white students next to blacks as a form of punishment. This is far worse, in my opinion, than some things that were done to adults. These teachers and individuals were getting into the minds of children and teaching them that they were somehow less than other students, or incapable of learning at the same capacity as the other students. When that is paired with the other systemic forms of racism, it makes it hard for children to overcome those thoughts as they grow older. I was really shocked reading about how the Clark family was tested in Chicago in 1949. P. 372-374. Reading this I felt my mouth hit the floor. I was shocked to hear about the mobs to the Clarks apartment. It seems that no matter what education you have, it was all about the color of your skin. Even after they won the case to occupy the apartment, they were still not allowed to move into the apartment because of their color. This town wanted to stay all white, they even bombed the building to where the whites that lived there was forced out. To see how much hate was towards African Americans back then was nothing of what I thought it was. I knew about the lynchings in the south, but to read about all the other things these families had to go through just to make a living for themselves and their family is truly heartbreaking. A entity that stood out to me while reading was the incident in Cicero regarding the Clark family.(p. 374) The manner in which their home was completely destroyed confirmed my perception that in the South, African Americans had no ownership of anything material. At any time their dignity and possessions could be destroyed for no reason. I am still amazed at the amount of hope and faith that African Americans had regardless of how much they had lost. My perceptions of African Americans trying to make a way for themselves during this time period were confirmed around page 374. White individuals were fearful of black individuals. This was made quite clear when the notion of whites moving out of neighborhoods due to an increased number of blacks was discussed by the author. Hence, African Americans were viewed as existing beyond the boundaries of what white individuals considered "normal." Consequently, the white individuals were fearful of them. The struggles of black people were confirmed in the Dillusionment chapter. Reading about how a family was prevented from moving into a larger, affordable neighborhood because they were black was surreal to me. No matter how educated, no matter what the court said, no matter how fair it was, how they had a right to occupy the apartment, it did not matter. It was disheartening to read about how the white community destroyed their properties, especially when the author states "in an hour, the mob destroyed what took nine years to acquire" (374). Also, when the author spoke about how property value went down when black people moved in the community was also a confirmation for me because it is still true. The white people lived in the city, initially, then when black people moved to the city, the white people moved to the suburbs. And now, it's to the point where black people are moving to the suburbs and white people are moving back to the city in areas where new, expensive housing are being built. It is just sad to me. Before reading this book, I had the preconceived notion that the south was extremely racist and treated black extremely poorly, but the north was a lot better (still racists, but tolerant). After reading a few passages, it made me realize that the hate was just as strong as in the north as the south. The only difference was the south had laws supporting their views. Still I think the north would be a much better place to live back in that time, it would just be more hardships in the north than I expected. Something specific that really confirmed or altered my previous perceptions about the experiences and struggles of African Americans was the section I read on page 386 about the fact that blacks were restricted in jobs, children attending inferior and segregated schools, blacks working long hours, children left unsupervised and open to gangs and violence without ways to find solutions. This insert stuck out to me because I feel as though the effects of this time period have transferred over to the present and still continue to happen among black communities today. Although things have definitely improved since then, black people still face many struggles such as these today, due to the ones faced in the past. A hole was dug for us that has been hard to climb out of. To be honest my perception of the black condition was not changed by the book because I feel as though I am well versed in black studies. What is interesting is the thought that blacks had about the north. The moral of the story is that regardless of the place, blacks had to be weary. Unfortunately, blacks were not well versed on the different aspects of the Jim Crow laws and so on. The story of what happened to the Clark family on pages 372-76 confirmed my perception on the challenges black Americans faced when they tried to better housing conditions. However, it is the first time I have read about a specific incident showing the savagery of the northerners who were so intent on keeping black Americans out of their neighborhood. This specific story also stood out to me because it happened here in our home state of Illinois. "Blacks in the North could already vote and sit at a lunch counter or anywhere they wanted on an elevated train. Yet they were hemmed in and isolated into two overcrowded sections of the city-the South Side and the West Side-restricted in the jobs they could hold and the mortgages they could get, their children attending segregated and inferior schools, not by edict as in the South but by circumstances in the North, with the results pretty much the same" (pg 386). This confirmed my perception of the black condition and it is still a problem we see today. It is so difficult to make the point of "right vs. wrong" when there isn't an obvious in your face debate. I try to make this argument with people who believe black people are in the situation they're in because of their own choices and it's not true. While I have always known about the brutal death of Emmett Till, re-reading about his horrible murder further confirmed my notion on how disgusting, and hateful some people can be. As with most, the death of young Till makes me sick to my stomach, but learning that he was going to the south to spend time with his uncle furthered this perception. Growing up, I was always visiting grandmothers, aunts, and uncles. Thinking of how he was on a trip, simply visiting a family member makes it even harder to grasp how anyone could possible do this to an innocent 14 year-old boy. Much of what I read in this section was very similar to what I have heard about in urban studies classes previously. It's crazy to think that just over 65 years ago, white people were raiding a black person's house and destroying their belongings just for moving into Cicero. This was described on page 374, when the Clark's tried to get a larger place for their family, because they were being overcharged to live in a super tiny apartment in the city. Something that confirmed my perceptions about African Americans in this time is the fact that many people wanted to escape to the North but it turned out that the North were almost as hateful and racist as the South was. Blacks still had to deal with degradations such as segregation and waiters breaking cups other they had used them, but they had less of a fear of being lynched and that alone made the North a preferable place to be. The biggest thing that stood out to me was the situation that occurred with the Clark family in the south. Their house was completely decimated and it showed them in a subliminal manner that "though you may have lived in this house, it really was not yours." This ties back to the lingering fear that was still over the African American community. One of the most notable scenarios for me was the part on page 374 where a mob led by a white supremacy group completely destroyed this family's home because the were black. The statement that really spoke to me was "in an hour, the mob 'destroyed what had taken nine years to acquire.'" That would be just so devastating. My thoughts of the black condition have only changed slightly by the reading. I was surprised by the fact, migrants felt like they needed to impress their family in South. They felt like they had to prove the decision to move North was a good decision. What stood out the most is when Clark tried to move into a nice neighborhood with white people and they weren't welcoming. This stood out because they to came to the US to get away from oppression. This showed me that we only see wrong when its done to us, not when we do it. The story that confirmed my perception about African American struggles were around pages 373-375 with the white mob. It did not surprise me, but made me feel extremely disgusted and angry that whites would harm blacks simply for being black. It did not necessarily have to be something said or done in a harmful or illegal way, but the color of one's skin that could cause someone to hurt another person or family. This showed me that African Americans would have struggles for some time because there was no way that they could simply not be who they were born to be. This thought went full circle when I reread the Till story as well. As mentioned on page 369 the Emmett Till tragedy horrifyingly reminded me of the present. Trayvon Martin was also a young black man out of his element visiting family in Florida. While minding his business walking from the store, his skin color offended a coward named Goerge Zimmerman with multiple shots he killed teen Martin.Just as Till's mother expected her child to come home in one piece, I'm sure Trayvon's mother expected the same. Just as Till's killer Trayvon's killer was served little to no justice. This caused huge uproar in the black community. Centuries later black lives still show no urgency in the judicial system. Childlike innocence was torn away from children way before adolescence had a chance to sprout. Children were forced to fear for their lives when walking outside to play, or when going to church. The thought of being a child in a world that hates you stuck out to and was new to me.